Researchers have provided the most detailed map of routes and costings across Australia’s entire agricultural supply chain, potentially saving the industry millions of dollars annually. The CSIRO researchers have applied the logistics tool TraNSIT (Transport Network Strategic Investment Tool) to 98 per cent of agriculture transport across Australia including commodities such as beef, sheep, goats, dairy, pigs, poultry, grains, cotton, rice, sugar, stockfeed, horticultural and even buffalo. The information was presented in the final TraNSIT agricultural report, released this week. Transport infrastructure is essential to moving over 80 million tonnes of Australian agricultural (including horticultural) output between farms, storage, processors and to markets each year and costs close to $6 billion annually. The TraNSIT tool identifies ways to reduce travel distance and time, save fuel costs, cut down on wear and tear to vehicles and produce and minimise stress for both truck drivers and livestock. "Farmers will be saving money on transport as well as being able to deliver food to the market faster and with less damage and disruption," CSIRO’s TraNSIT project leader Dr Andrew Higgins said. "We expect these savings will eventually be passed onto the consumers." 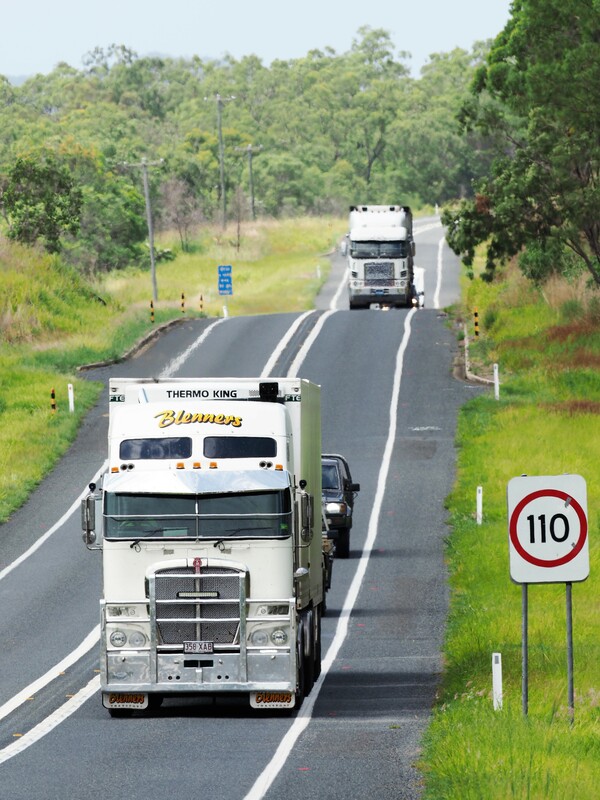 In 2013, CSIRO developed TraNSIT to provide a comprehensive view of transport logistics costs and benefits based on infrastructure investments in agriculture supply chains in Australia. An initiative of the Federal Government’s Agricultural Competitiveness White Paper, the tool was originally applied to the beef industry before being extended to all agriculture transport across Australia. The first project under the $100 million Beef Roads program will be the sealing of 17km of the Clermont to Alpha Road in Central Queensland, which is due to start early next year. The $8m works will improve road safety and access for oversize vehicles while reducing freight and maintenance costs. Besides the latest TraNSIT agricultural report focusing on each agricultural commodity, it also features a flood case study and rail to road scenarios. "Several case studies were identified by industry and government for this final report, representing TraNSIT’s diversity of applications across Australia," Dr Higgins said. Researchers applied TraNSIT to evaluate the impact of road closures and detours on the transport of valuable crops and livestock during flood events, using Forbes in Central West NSW as an important case study. From early-September to mid-October 2016 severe rainfall caused extensive road closures throughout NSW with Forbes becoming particularly isolated. "The Forbes area is a diverse agricultural region of grain production, beef cattle, poultry, dairy and pigs," Dr Higgins said. "There was about a $2m increase in transport costs created by the short term and long term road closures from this flooding event, and about another 500 vehicle trips that could not occur as there was no alternative routes. "The cost would have been even greater if the floods had occurred during harvest season where more cotton and grain are being transported in large volumes on the roads." Using TraNSIT, researchers can analyse several ways to reduce the economic impact of floods in country regions and throughout Australia including upgrading or raising particular bridges to reduce the frequency of closures from flooding. This will in turn reduce the occurrences where cattle or harvested crops cannot reach their market. The rail to road hypothetical scenario looked at the impact of shifting all agriculture (grains, beef, sugar, cotton) that currently use rail to be road only. Grains were more expensive ($208m) when transported by road while cattle (or beef) was much less expensive (about 70 per cent less). These differences were primarily due to rail wagon capacity versus semi-trailer capacity. For more information on TraNSIT and to view the final agricultural report, visit Transport Network Strategic Investment Tool (TRANSIT).